The adidas Power Hybrid string is supplied in a 200m (656ft) reel and offers main strings with high polymer nylon multi-filament centre core with braided mono-filament outer wrap and cross strings with dense nylon multi-filament centre core with oval braided mono-filament outer wrap. The main strings ensure enhanced durability and unsurpassed repulsion, while the cross strings provide excellent balance of power and control. The maximum stringing tension is 30lbs (13.6kg). 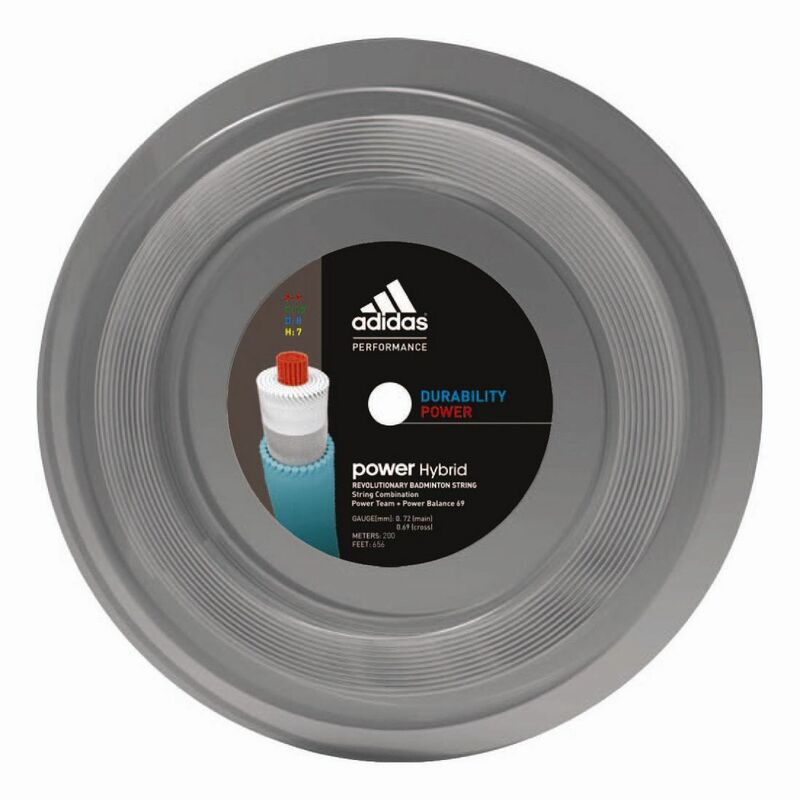 for submitting product review about adidas Power Hybrid String - 200m Reel.